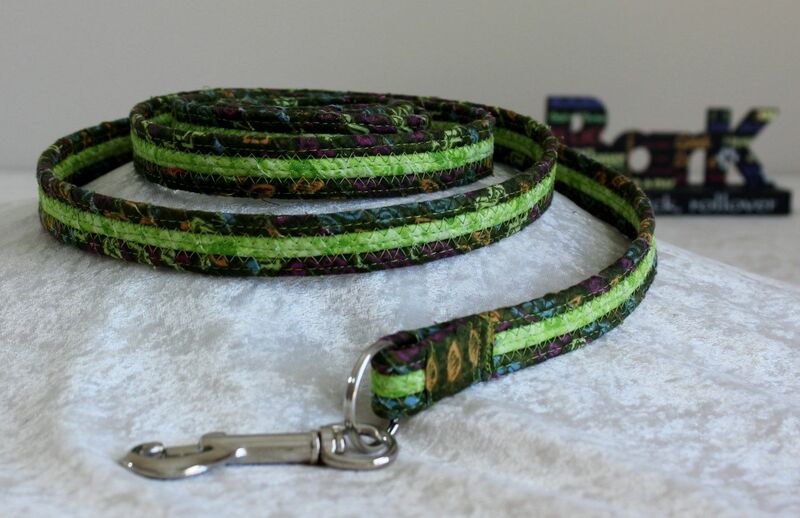 Our dog leashes are constructed by first hand-wrapping cotton clothesline in strips of fabric, then machine sewing together with a zigzag stitch. 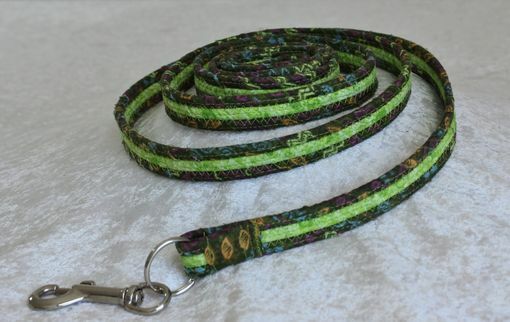 They are very durable, can be washed, and very fashionable for you and your dog! 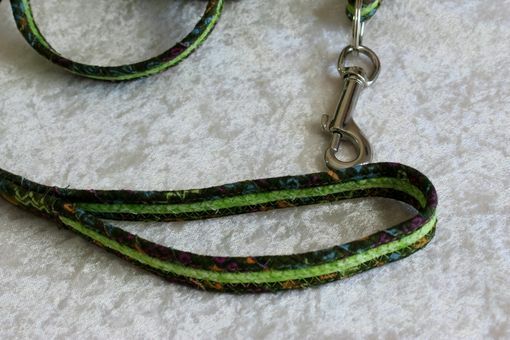 Colors: outer edges are dark green with fun splashes of cranberry, blue, and orange. Inside is a bright lime green with subtle glitter accents. 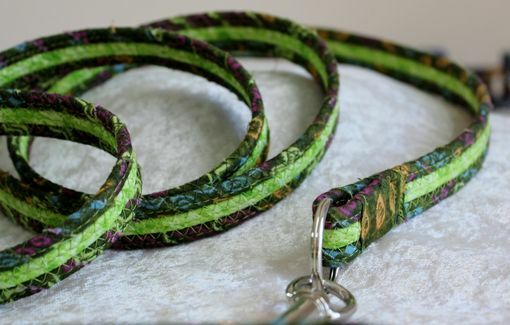 All leashes include nickel plated snap hooks. Measurements: 6 ft in length, 3/4 inch width. Handle opening approx. 6 inches. 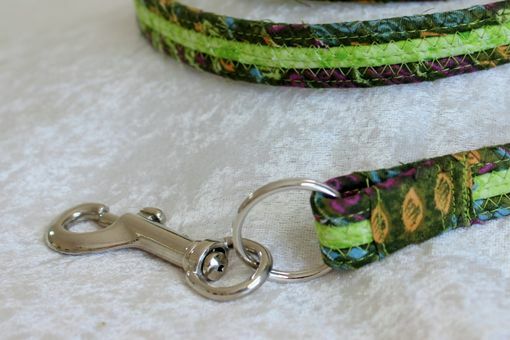 Can be special ordered for special color, or size requests.